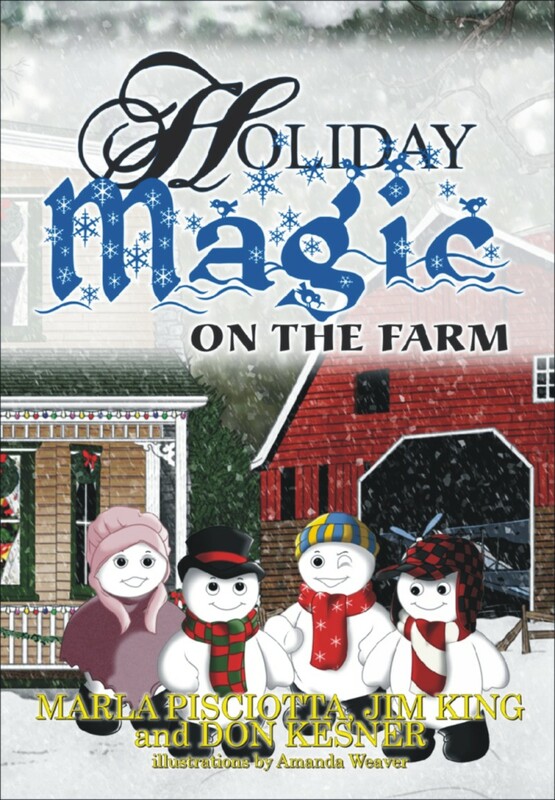 Beautifully illustrated tale of a magical, rural Christmas! This delightful tale of a rural Christmas has been transformed from the pages of a Appalachian weekly newspaper into a favorite on the bookstore shelves. Written and developed by staffers from West Virginia’s oldest weekly newspaper, The Hampshire Review, Poogie and Sis and their magical adventure are brought to life by the exceptional talents of artist, Amanda Weaver. Your family will make this a favorite holiday read and will leave you asking the question… Do you believe? Marla Pisciotta has been a journalist for more than three decades. She has worked for The Journal in Martinsburg, The State Journal, The Spirit of Jefferson Advocate in Charles Town and has written articles for The County News, a national publication. Most recently she worked as editor to The Mineral Daily News Tribune in Keyser. She lives with her husband, Vince, in New Creek, WV and they have four children, thirteen grandchildren and two great grandchildren. Marla joined The Hampshire Review team in August 2007. Don Kesner, a native of Hampshire County, started sixteen years ago with The Hampshire Review as a journalist, photographer and columnist. He is a 1970 graduate of Hampshire High School and graduated from the Free Gospel Bible College in Export, PA. He returned to Hampshire County in 1993 after pastoring in Youngstown, OH. He is currently pastor with his wife, Myra, at Christ Community Church in Augusta. Don has one daughter Jillian who lives in Martinsburg, WV. Don also has two step-children, Danny and Nicole and two grandsons. Jim King is a vagabond journalist from the foothills of the Ozarks who has found joy, magic and a home in Romney, West Virginia. He worked for twenty-two years at daily papers in Chicago before moving to the Mountain State’s Eastern Panhandle. Before that, he taught college journalism and worked at newspapers in Missouri, Idaho and Michigan. Amanda Weaver started with The Hampshire Review in the spring of 2006 as a photo editor and website design apprentice. She now helps manage the Hampshire Review website and is a website and graphics designer. She has been drawing since she was a child and is self-taught. Her artwork varies from pencil sketches to painting; she enjoys sketching eyes and facial expressions. She is a native of Hampshire County and lives at home with her parents and two brothers.